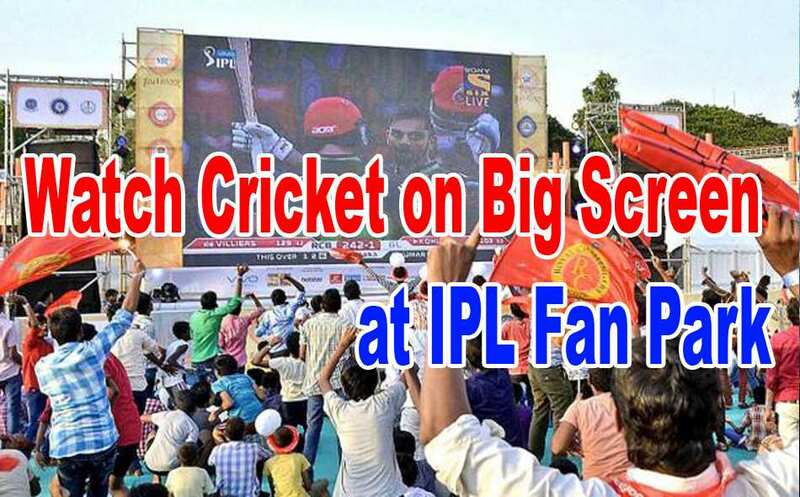 Here is good news for cricket lovers and IPL fans in Vijayawada, yet again they can feel the stadium-like experience of watching the IPL match between Mumbai Indians and Rising Pune Super giant scheduled to be held on Tuesday evening in Mumbai, in their own city, courtesy Vivo IPL Fan Parks. Makineni Basavapunnaiah Stadium at Ajit Singh Nagar is being readied as IPL Fan Park to provide stadium-like experience to the cricket fans. A giant screen measuring 32 feet high and 18 feet wide is being installed at the stadium. "Asthere are no IPL matches in the State and with the cost of tickets for the cricket match in the stadium being too high for the common man, IPL Fan Park is one big opportunity for cricket lovers to experience stadium like feel in their own cities, Gokaraju Gangaraju, former governing council member of IPL, said. The entrance to the IPL Fan Park is absolutely free. According to him, the response to IPL Fan Park at Indira Gandhi Municipal Corporation (IGMC) Stadium in the city last year was overwhelming and several fans wanted to have such experience again. "Fans can feel they are in the actual stadium enjoying the match wearing the colours of their favourite teams. We are providing face painting for free at the stadium. Further, there will be play zones for kids and games for youth," said V Durgaprasad, joint secretary of Andhra Cricket Association. Further, there will be music and multiple stalls for merchandise, food, beverages and other activities organised by IPL's official sponsors, which are expected to heighten the electric atmosphere at the venue. Taking no chance, private security is being deployed along with police at the stadium, where anywhere between 10,000 and 15,000 people are expected.